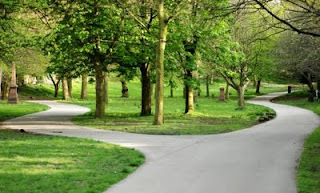 It is funny how life seems to meander along the same path for a long time where not much changes and, then all of a sudden, the path ends and we must go off in another direction. I am there right now. Life as we know it is ending, in all possible ways, and a new path is awaiting all of us. My Mr 19 moved out of home 3 weeks ago. We are all getting used to him not being here now. My initial sadness has now been replaced with acceptance. He is happy and loving his freedom and independence. I am certainly enjoying the decrease in washing and price of my grocery bill. I do miss kissing his soft cheek each night and hearing him say "I love you mum" every day. Mr 17 is loving the fact that his towel is always hanging where he left it and he can sleep without hearing the snoring from the next room. M and I are leaving for Italy in eight days to get married and have a wonderful holiday. I am beyond excited about this and can't wait to be on the plane and on our way. When we get back I will be a wife. I will have a husband. I will also have a new last name. This is a huge thing for me. For the first time I will have a different surname to my children - this makes me feel a little bit funny. I will also have the surname of the man I have loved for a very long time and I know this makes me feel very happy. While we are away, Mr 17 is going to the USA to work. He will be staying there until mid November. When he comes back he won't be the Mr 17 I said goodbye to. He will be different. He will have spent almost 3 months in another country without his mum. For the first time I won't be an integral part of his life. He will grow up and this will be a good thing for him. I am going to miss him while I'm away and I'm going to miss the boy I said goodbye to, but I do look forward to seeing the young man who comes back to me. The next eight days are definitely going to be busy with working and getting organised for our big trip. They are also going to be filled with so much excitement (I am literally trembling with it). Despite the excitement, the days will also be filled with a sense of nostalgia and wistfulness. I will be holding on tightly to everything from the now so I don't forget it, because when we come back a new normal awaits us. Usually a new normal creeps up slowly until one day we just realise things have changed. This time I get to cherish the last few days of our now while I also get excited about the new now that lies ahead. What a beautiful post. To look ahead and enjoy what is to come whilst seeing what has been. Such an amazing time for you and so much to process. 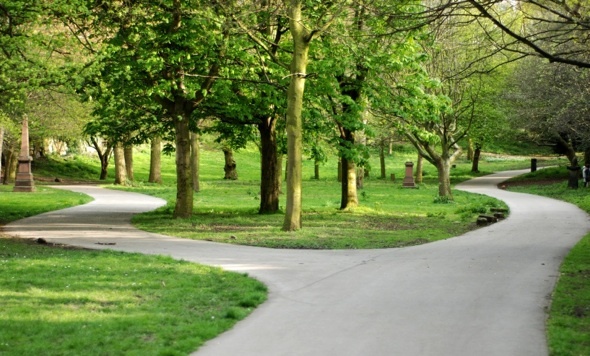 So often we look back at the path we took but how amazing to consider the path that lies before us. Possibilities are endless. Best wishes for the journey! You are obviously a great Mum to have these feelings. As a mother of boys...you made me cry. I wish you happiness for your future - which I'm sure is coming your way anyway! Be happy - stay positive...and thank you for all you have written to make me happy! Exciting times ahead for you!!! Such a beautiful post, and a lovely story unfolding for you and M. Happy days ahead, as the journey takes you from home to new horizons, which include marriage...and very good wishes for the whole new life ahead. Apart from the crazy imaginings on Twitter I wish you well in this fabulous journey,as well as your trip. Not to mention your life. I'm so excited for you! It would appear, I'm learning again myself, that change - no matter how good - is always a little bittersweet. What a gorgeous post to read before I go to sleep. Italy is just the most perfect place for your marriage. Your boys sound divine just like their mum. I just love watching the 'new you' evolve! Although I reckon the old one was pretty damn hot! :) Enjoy the new exciting chapter/s Annie! Stopping by to say that I haven't seen you about for a while and hoped that married life is blissful and you are well.